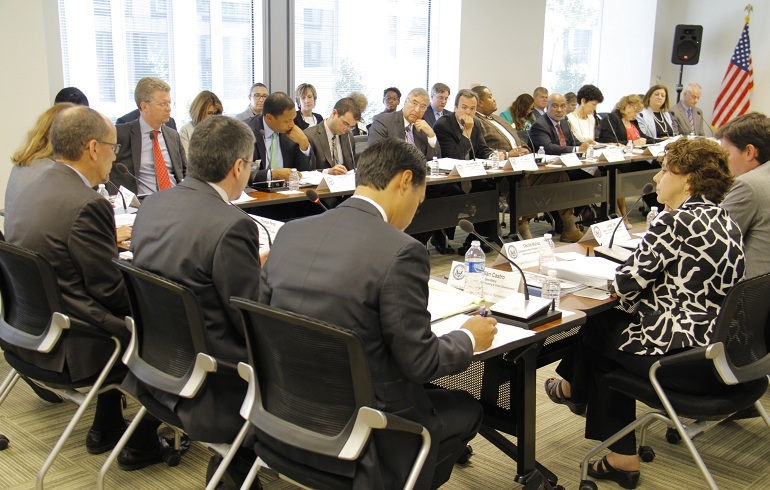 On Thursday, July 23, USICH hosted our 19 member agencies for the second Council meeting of 2015. Held quarterly, these meetings are one of the ways we maintain the Federal interagency collaboration and coordination that has been a hallmark of the national effort to prevent and end homelessness since the adoption of Opening Doors in 2010. They also provide a valuable opportunity for us to both celebrate and learn from some of the tremendous work happening in the field. Council members had the privilege of hearing from two communities who are leading innovators in the effort to prevent and end youth homelessness. Jon Bradley from Preble Street in Portland, Maine, and Mary Li from the Department for County Human Services in Multnomah County, Oregon, joined the discussion to highlight their efforts to improve data collection on youth and to implement a coordinated, community-wide response to end youth homelessness. 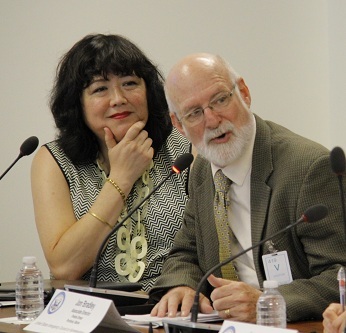 Jon and Mary also provided recommendations on where Federal agencies could better support local efforts, starting with more support for a systems approach. Council members also heard a brief presentation on what is currently known about homelessness among Native Americans that was informed by input from a listening session in Minnesota in June with Tribal leaders. The Council charged agencies to identify and bring back a set of strategic actions to address Native American homelessness both on and off Tribal lands. USICH Executive Director Matthew Doherty provided the Council members with an overview of the most significant changes within the amended Opening Doors, which was released in late June. Secretary Perez reported that the Department of Labor would be using the newly released Partnership for Opening Doors report as a blueprint for Federal action on helping communities increase access to good jobs for people experiencing or at-risk of homelessness. Asim Mishra of the Corporation for National and Community Service reported on how AmeriCorps, AmeriCorps VISTA, and the Social Innovation Fund are supporting work in communities to end homelessness, including among Veterans. J. Jioni Palmer of the Social Security Administration announced that SSA partnered with HHS, VA, and USICH on the recently issued Key Strategies for Connecting People Experiencing Homelessness to SSI and SSDI Benefits guidance and will be working to disseminate it. Your best practices and lessons learned shape our work and conversations at the Federal level. If you have an idea, and example, or even a concern that you would like to share, please contact us at communications@usich.gov.